A new law gives farmworkers more overtime pay for working fewer hours, but will they really get more money? Picking fruits and vegetables on a farm is hard work, and so is raising five children as a single parent. Reina Mendoza has been doing both for more than a decade. Mendoza, a Santa Maria resident, has been working on farms in the area for the past 11 years, tending to and harvesting local strawberries, broccoli, lettuce, and cabbage. She usually works 10-hour days and spends almost the entirety of those shifts doing backbreaking work. Making about $11 an hour, Mendoza said she often takes on extra shifts in the fields or works side jobs just to make rent. Promises of end-of-harvest bonuses sometimes don't materialize, working conditions are less than desirable, and the consistently long hours have kept Mendoza away from her children throughout much of their lives. Her youngest is now 13 years old, and with bills to pay and work to do, Mendoza said she wasn't around much to see the others grow. But a new law that increases overtime pay for farmworkers in California went into effect on Jan. 1, and Mendoza is hopeful that the change will positively impact her life and the lives of other farmworkers. "I was talking to some people I know in the community," Mendoza said, "and they're actually really happy they'll be earning more and be able to spend more time with their families." Mendoza speaks Spanish but not English, and she spoke with the Sun through a translator who works with Central Coast Alliance United for a Sustainable Economy (CAUSE), a local organization that frequently advocates for worker rights. "People are welcoming the new law with a lot of hope," Mendoza said. "People are excited about it." The law, Assembly Bill 1066, passed in 2016, and it gives agricultural employees time-and-a-half pay after 9.5 hours a day or 55 hours a week at farms, ranches, and dairies with 26 or more employees. Those with 25 or fewer employees will have three additional years to comply with the changes. A law that gives agricultural employees time-and-a-half pay after 9.5 hours a day or 55 hours a week went into effect on Jan. 1. By 2025, all agricultural businesses will have to pay their employees overtime after eight hours a day or 40 hours a week. The true capacity of the law will slowly be phased in. By 2025, all agricultural businesses will have to pay their employees overtime after eight hours a day or 40 hours a week. It's standard for most other employees, but it's a significant change from the 10 hours a day or 60 hours a week ag employees used to have to work in order to get time-and-a-half pay. Mendoza said that even a half hour of overtime makes a difference. It's money she can put toward her bills, food, and kids, so that she can spend less time in the fields and more time with her family. "There are a lot of things that could be fixed," Mendoza said, "but this law is really good for now because it will boost the ability to make more money without overworking yourself." Still, some say the new regulations could actually result in shorter shifts and less money for most agricultural employees. Although a few local growers declined to comment on the law, Claire Wineman, president of the Grower-Shipper Association of Santa Barbara and San Luis Obispo Counties, said that farmers and ranchers in the area are worried about some of the long- and short-term consequences the change could have. While the increased overtime for workers may not seem like much, Wineman said that even just a half hour of time-and-a-half pay per worker amounts to a hefty expense, depending on the size of the business and its staff. "I would imagine that it certainly would add up for those periods of time during peak season," she said. Throw in a gradually increasing state minimum wage–to $15 by 2023–and an ongoing labor shortage, and the cost of paying employees could explode for some local ag operations, Wineman said. Many growers, she said, are concerned about staying competitive with other popular agricultural areas like Arizona and Mexico, where the costs of labor and doing business are already significantly lower, and employees can work for longer. Although a 10-hour shift without overtime pay may sound unusual to most, Wineman said the previous and less stringent time regulations recognized the perishability and seasonality of the agricultural industry. Now, because some California farmers will likely opt to send their workers home earlier instead of paying overtime, workers might leave for out-of-state farms, and it could prove difficult to get crops out of the ground and onto people's plates in a timely manner. 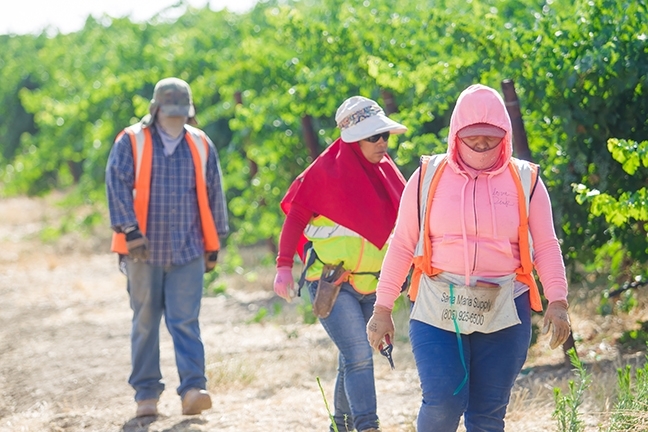 Still, CAUSE organizer Joana Barrera said the increased pay, fairer treatment, and respect for workers' rights will help growers retain agricultural employees, and will eventually help them offset the ongoing labor shortage. Wineman disagreed, and added that while those in the industry have been anticipating this change since the law passed in 2016, other worker-related laws have also been approved, many that will be similarly phased in over a period of several years. Trying to comply with multiple new laws that all have different specificities and timelines is complex, and Wineman said that many growers, and business owners in general, are worried they might miss something in the mix. Glenn Morris, president and CEO of the Santa Maria Valley Chamber of Commerce, said that a number of business owners in the area are confused about all the new rules and regulations. 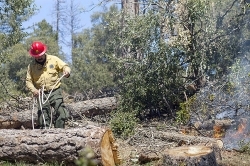 "The bigger issue right now is just the sheer volume of changes that keep coming," Morris said. "It's like every year there is a whole new set of changes big and small that businesses have to factor." All of those changes have ripple effects, whether intended or not, he said, on businesses, their employees, and the community they serve. When it comes to the increase in overtime pay for farmworkers, Morris said many agricultural employers may instead choose to send workers home earlier, or will find ways to do the same amount of work with fewer employees. Much of the ag industry is already looking toward technology and mechanization for help harvesting crops, and researchers are working to develop disease- and drought-resistant plants. Morris said he wouldn't be surprised to see local farmers and ranchers investing more time and money in those routes, and spending less on expensive labor. "My sense, in talking to some of the ag folks around town, is that the individual worker is going to make less money," Morris told the Sun. "I think what you'll see is, you know, they're going to send the guy home. They can't justify the time-and-a-half."